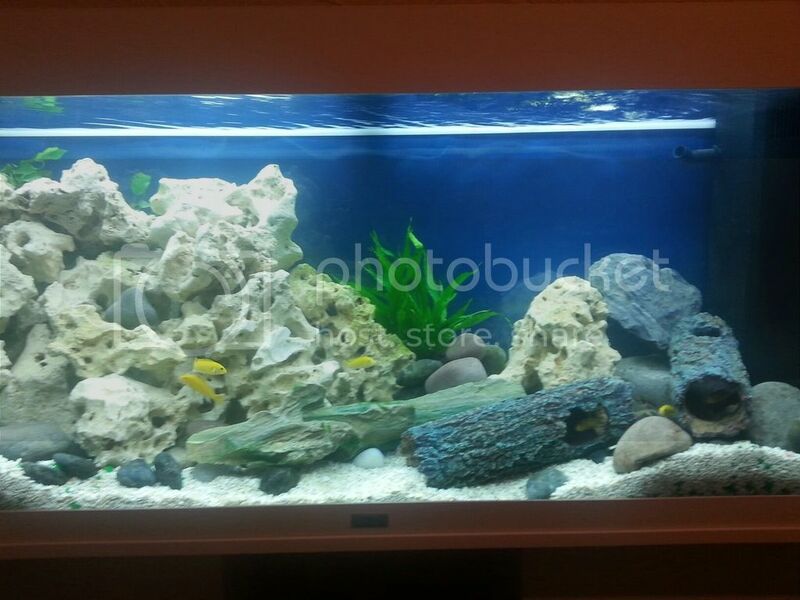 I am having a rescape tomorrow, looking to loose the focus on the Live Rock adding some more natural looking rock to make it look less marine tankie. The Ocean rock will be background but am keeping the blue colour,adding more of the rocks and stones I collected from the Island of Iona they are so nice looking. Even though they are 'fake' I like the wood ! I have added 2 more Javae Fern tied on to lava stone and one more Anubis, Thats a fidling job to ti it on with fishing line, I can tell you !! I added 2 x 2500 LPH Wavemakheers in each corner, adjustable. I do want to over stock this Mbuna when its more matured. Nothing over 2 inches yet wondering how many Jouvies I could add to thin out at a later date ? In a rio 240 I'd say 30 juveniles to thin out. Have you added more fish? 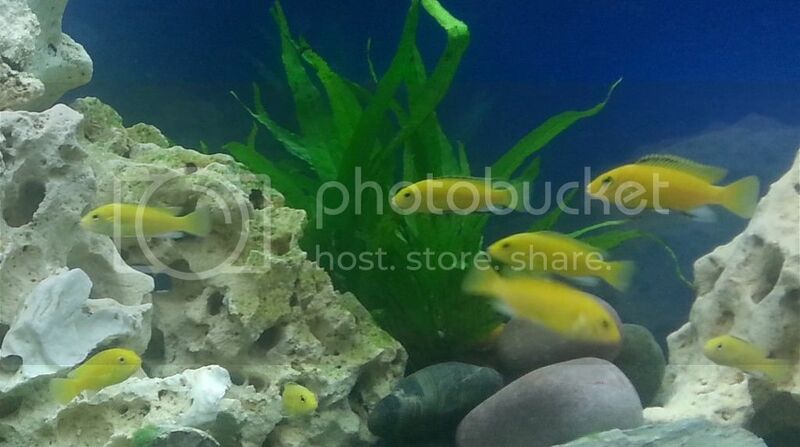 Just seen the photos, that looks like and I really do love yellow labs, they are on my top 5 list of the best mbuna.